With the growing popularity of the internet, the effects of social media cannot be denied. Almost a quarter of the world’s population is on Facebook or any other form of social media. This number is even higher in countries like the United States of America where 80% of their internet users are on various social media platforms. It plays a vital role in the life of every individual and society. If we look at the timeline, Facebook is around ten years old, and it has already brought a massive impact on the lives of the people globally. By 2014, there were already 1.3 billion Facebook users. With the advent of smartphones, the number has only grown. Other platforms are equally popular like Instagram, Twitter, Tumblr, Pinterest and much more. The following essay looks at the effects of social media at various levels on individuals and society. The essay begins with focusing on the effects social media on individuals and society at the political level, then moved on to discuss its effects on the societal, cultural and commercial level. 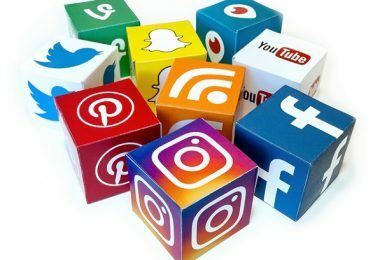 The essay ends with a conclusion and a brief discussion about the future of social media and the possible growth in its impact on both individuals and society. Social Media has influenced the political climate several times in the recent past. To begin with, the Arab Spring of 2011 is the biggest impact of social media at the political level. All the major discussions about the Arab Spring took place on social media platforms, and it played a vital role in spreading the message outside of the Arab countries. The trigger point of the Arab Spring was also through social media when the message about government atrocities became viral. Hence, the biggest influence of Social Media has been the Arab Spring because it spread through the neighboring countries in no time. Moreover, if we look at more recent political elections in countries around the world, social media has been playing an important role. Be it the Indian general elections of 2014 or the current American elections of 2016; social media has been very active. People quickly make groups in favor or against political parties and bring their positive and negative actions to the limelight by sharing news. However, it is also raising questions about real activism. Is social media making people passive? Do people just want to voice their opinion on social media and get away with actual action? These are some of the things that the future will tell us. However, the importance of social media in spreading awareness cannot be denied. The impact of social media on society is undeniable. Social media has entirely revolutionized and changed the manner in which we view ourselves today and interact with others too. While there are countless very interesting advancements in the social media technology, the negative implications of this revolution cannot be ignored. The overuse/misuse of social media is now a global problem impacting all generations and has been proven to hurt the emotional and mental health of people too. While social media has dramatically benefited our society regarding advertisements, self-expression, marketing, and promotion, too much of a good thing can have negative impacts. One of the many effects includes anxiety and depression that is caused by individuals who continually strive to be attentive and super active on social media platforms. The overuse of social media has also known to trigger the obsessive-compulsive disorder in people. One of the many uses of social media is sharing posts and comments, and then it is evident to expect a million likes on them. People tend to obsess over the number of likes they’ve gotten (or not gotten) on their posts, and this has also known to create mental health implications for people. They think that the number of likes is a testament to how many people like them. This subsequently creates anxiety if they do not reach a specific number of likes they’ve set in their mind. That said, it is entirely up to us to decide on whether we want to let social media impact us positively or negatively. What’s important to remember is that the number of likes or shares does not define your self-worth. Every culture has a set of norms and values. It connects us to ourselves and the people around us. It also governs how we behave and carry ourselves in the world. Social media has become a massive part of our social interaction. Thanks to its emergence, we do not necessarily have to speak to a person to know what or how they are doing in life. In other words, there is substantially less “real-life” contact between individuals now. One significant impact of social media on the cultural level is how we communicate our thoughts through this platform. More often than not, what we mean has a vast potential of getting misunderstood, and hence, the receiver might not fully grasp the real meaning behind the said visual or emotional expression. Social media has created a gap between the generations. Social media creates a massive responsibility on the users to use it efficiently and with caution. What you share or do on social media quickly becomes a part of who you are as a person, and instead of being a personality trait, it could often be interpreted as it being a part of your character. Hence, the negative connotations of social media on a cultural level are aplenty. We need to focus on how to BE social and not on how to DO social! Social Media has played an exciting role in promoting trade and commerce around the world. In present times, almost all the brands, companies or services have a page on most social media platforms. It has become an indispensable platform for sharing information about products and services. It has given the opportunity to people to learn about companies, products, and services all around the world. If you look at e-commerce, the whole industry is highly dependent on social media. The more people can share news about their products; the more people learn about them and thus increase their business considerably. The system of client reviews also plays an important role in shaping the buying pattern on social media. One needs to have good reviews on social media to promote their products and services. However, there is also a negative side to it. People are using paid or fake reviews to promote themselves. It can be deceiving for individuals who rely on such reviews for choosing their products. Undoubtedly, the immense effect of social media on commerce cannot be denied. Given the situation and popularity, it is only likely growing in future. Read: Essay – The Media Has Become The Essential Part Of Our Lives. Social Media, like everything else in the world, is sure to evolve in the coming years. It can be predicted that there will be more diversity in the quality of posts shared on the different social media platforms concerning the material, videos, and pictures and intermingling of all these components. It will undoubtedly continue to form, forge and foster friendships with strangers. That is ostensibly the thought behind platforms like Facebook and Instagram. We might see different types of groups based on the various generations and people with different inclinations. There will be fewer ramifications and an enhanced focus on privacy. Social media will go through a lot of progress in the future in terms of experimentation and we shall see a lot of new developments in this field very soon. Social media has a tremendous impact on both individual and society. 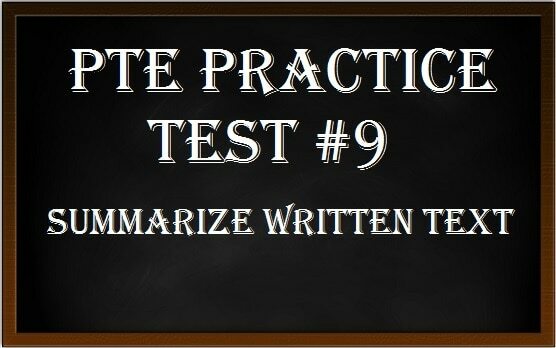 In this Essay, we analyzed this impact under various headings like political, social, cultural and commercial levels. We saw that there had been many positive achievements of social media, but it has also brought out some evils in society. To make good use of social media platforms, messages about social media ethics and morality must be spread amongst people. There is a bright future for social media, but the negative impact needs to be removed before we can think of making it more widespread. Marketing Strategies For Big Companies. Discuss Its Impact. 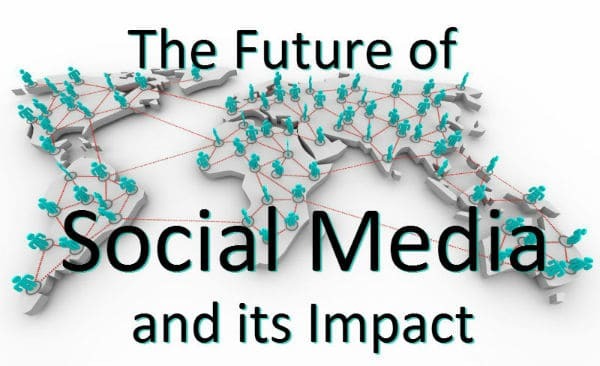 This essay can be used as the basis for writing your Social Media Essay: Positive & Negative Effects Of Social Media & Impact Of Social Media on Society.